My Granny's Attic is a small online antique shop owned and operated by the Staley Family. My Granny's Attic don't have a large staff or huge corporate store. 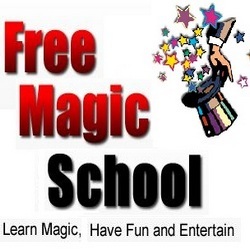 They are just honest folk trying to make life a little brighter for us all. My Granny's Attic passion is antiques, collectibles and memorabilia and My Granny's Attic hope to make it yours or at least enhance your collecting knowledge and love for the field. 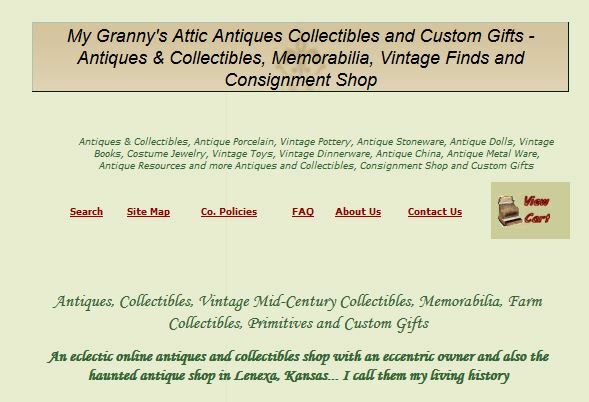 My Granny's Attic Antique Shop and Consignment Shop in Lenexa, Kansas has closed its doors. It saddens me beyond belief to have had to do this but such is life as a small business owner these days. The My Granny's Attic shop will be bigger and better than ever since I will have the time to devote to it. If there is something special you are looking for please contact them, we have an extensive network of antique dealer's, picker's and consignor's that we can call to help you find your special item. A new service My Granny's Attic now offer is personalized shopping for interior decorator's and designer's, there is a small retainer for this service please contact My Granny's Attic so that they can discuss the details and your needs. Antiques, collectibles, vintage mid-century collectibles, memorabilia, farm collectibles, primitives and custom gifts. An eclectic online antiques and collectibles shop with an eccentric owner.